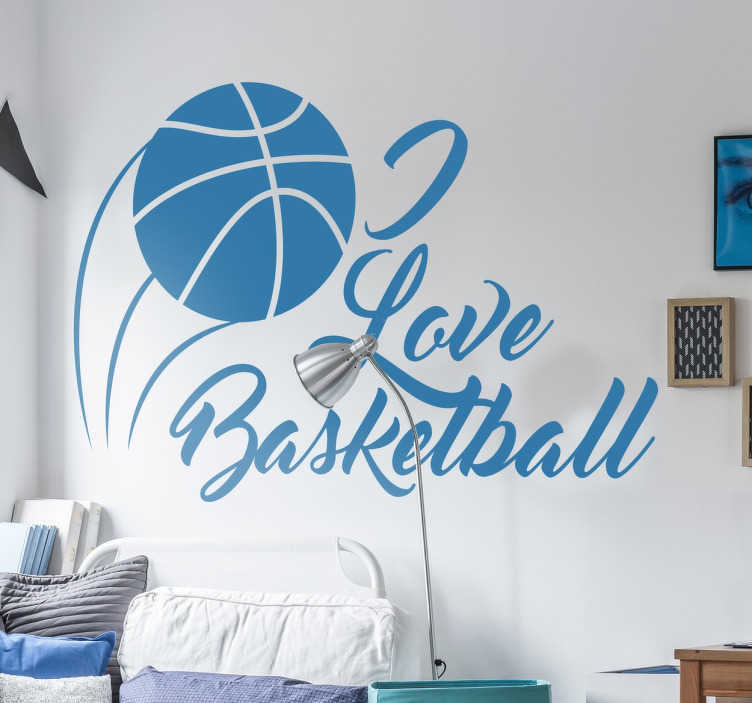 A sports wall decal with a drawing of a basketball and the text 'I Love Basketball' in cursive lettering for true lovers of the sport. Perfect for decorating a child's bedroom or sports area. This high quality monochrome text sticker is available in various sizes and 50 different colours, ideal for filling that empty space in the wall.